The cache is near a horse stable facility. You may even have some curious happy horses investigating what you are doing while you walk by. 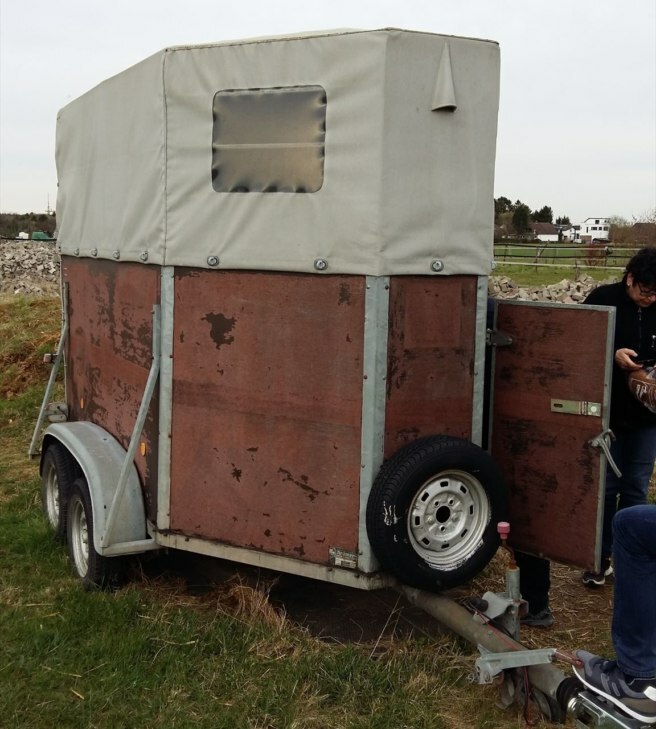 The GPS guides you to the horse trailers away from the stables, and it’s up to you to determine which trailer is hosting a rodeo inside. 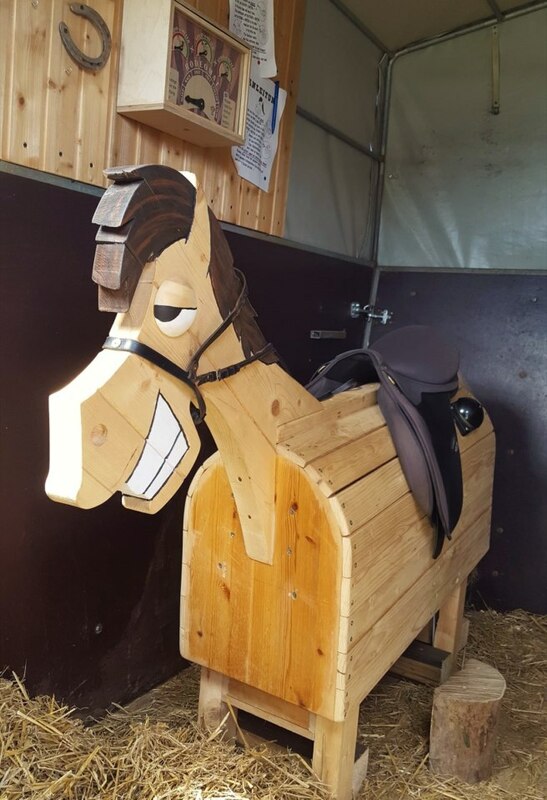 Unlock and open the right door and you’ll be greeted by a nice horse with a smile and a saddle on its back. But the cache isn’t that easy. 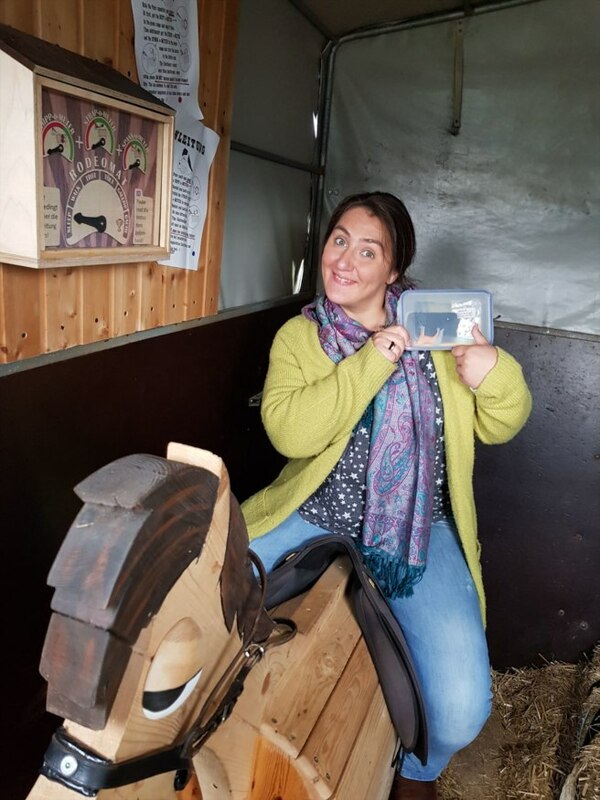 You need to pass a test to prove to the horse that you are worthy of the geocache hidden inside. Read the instructions and try to win the rodeo on the bucking bronco. 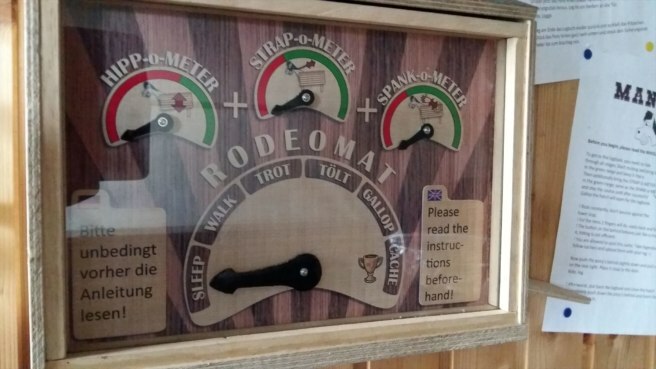 Keep track of your progress on the “Rodeomat” as you go from waking up the horse all the way to galloping speed while it rocks you back and forth. The geocache presents itself after you successfully pass the test. 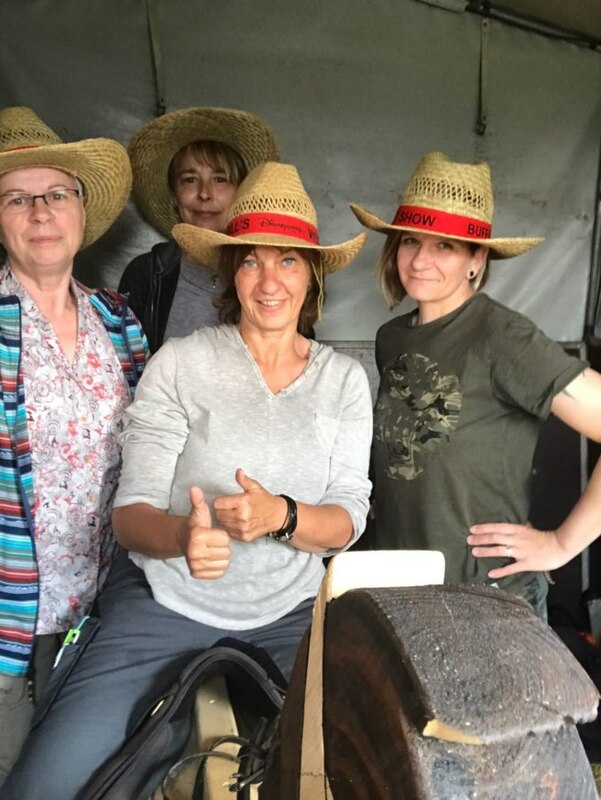 You’re encouraged by the cache owner to bring props and post pictures with the horse. Within that region of Germany there are over 55,000 geocaches–30 of them have over 1,000 Favorite points. “Die 4 Goonies” hid this geocache only one year ago as part of a series of Goonies themed caches. With over 900 finds and a 95% Favorite point rating, this cache sits at the top of the ranks within the region.